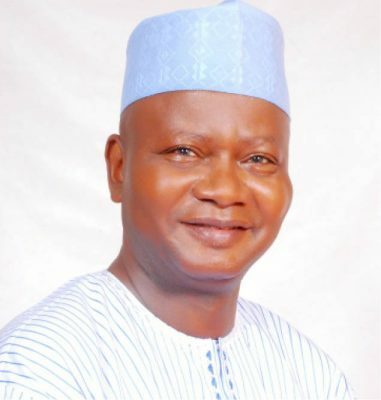 As the 2019 general elections draw nearer, more governorship aspirants are joining the race in Adamawa state, with Engr Markus Gundiri declaring his interest the for the job. Engineer Gundiri of the All Progressive Congress ( APC) formally Joined the race on Tuesday at the party’s secretariat in Yola ,the Adamawa state capital. He pointed out that his joining the race is to enable him contribute his quota in developing the state with a view to taking her to the next level. According to Gundiri, “ I am out here to tell the people of the state and the party that I want to contest for governorship of Adamawa state in 2019”. Gundiri boasted that with his connection with the western World, he will mobilize investors for the development to the state. He also said that many youths in the state need the best in term of education, assuring that if given the chance, his administration would make necessary appointments in in conjunction with the party leadership. Speaking on the farmers/herders clashes, Gundiri described it as the worst thing to happen, pointing out that all must understand and live together as one. Earlier, the Director- General, Gundiri campaign organization, Doctor Bagire , expressed gratitude for the reception given to them ,pledging that they are out to contribute their own quota to the development of the state. Earlier, the Vice Chairman of APC in Adamawa central Zone, Alhaji Bakari Mubi,had described the aspirant, who is from his zone as a democrat and therefore, called for a fair primaries. In his response , Mr Samuila Thaddeus ,,state Vice chairman of the APC , who stood in for the chairman, Alhaji Ibrahim Bilal ,who also doubles as the chairman Muslims Pilgrims Welfare Board, disclosed that the aspirant has good plans , but that God knows the heart. He thus urged politicians to advise their supporters to avoid unguided statements as he equally donated two vehicles to the party for logistic purposes.